Moritz Waldemeyer‘s FACET bends the glass to its will. In all its beauty and variety, glass is essentially an amorphous material with no regular crystalline structure. 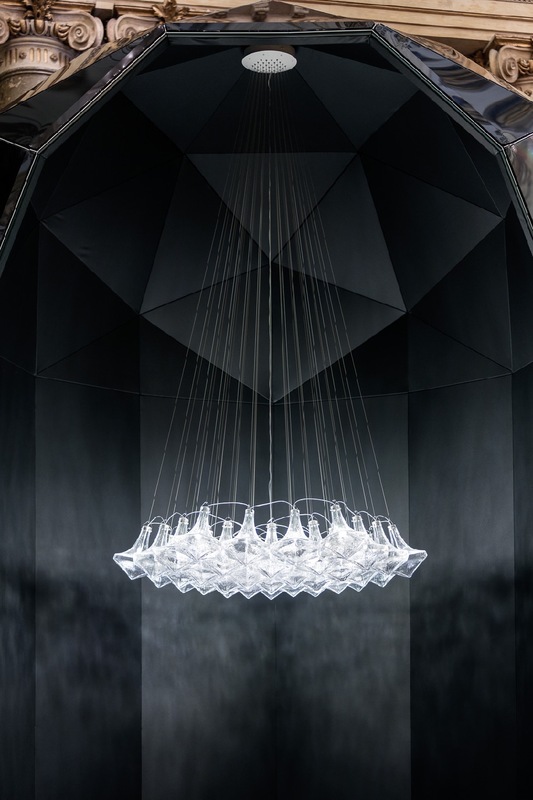 Yet through a design vision and mastery in glass- making craft, the material can come to mimic its opposite, creating highly organized and consistent structures. 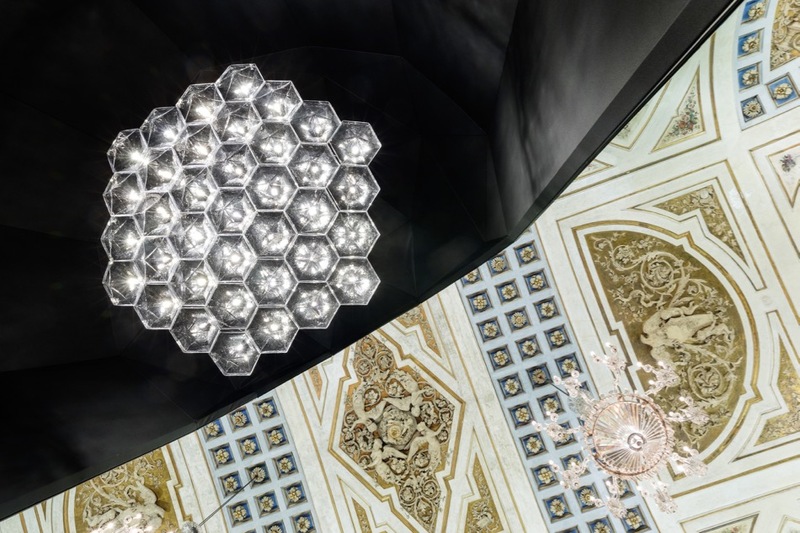 As if trying to systematize the chandelier-making tradition, Moritz took the geometrical shape of the Classic chandelier outline and turned it into a diamond-like hexagonal glass building block. On its own, with just single pendant, or in combination of multiple items into a large chande- lier, the FACET modules stand out as clear, disciplined and geometrical. The light source included inside every block allows the FACET system to be universal and almost unlimitedly extendable. This entry was posted on Tuesday, April 26th, 2016 at 2:14 pm. It is filed under ALL PROJECTS, LIGHT DESIGN, PRODUCT DESIGN, Uncategorized. You can follow any responses to this entry through the RSS 2.0 feed.